When you are planning a home removal of any kind, it is always a good idea to go to the experts in the field for advice on how to plan and execute the project so that it presents you with as little stress and strain as possible. In this case, we are going to save you the effort, because we have complied some advice based on the experience of some of the best movers in town, so that you can make your relocation far more cost efficient. Choose the day for your relocation wisely. Have in mind that for contractors, the busiest days are Fridays, weekends and around the end of the month. Logically, it is most expensive to hire a moving company in those days. If you go for the beginning of the month removal, or choose to carry out the job during the week, that will considerably reduce costs. Make sure that you have got rid of all unnecessary items in your old place, so that you can reduce the number of objects you are going to take with you, thus saving on both packing and moving. You can simply throw away the unwanted items, or give them to charity. Even sell them online so that you help yourself patch the budget. Most contractors would offer to do the packing for you. It is a vital part of every removal and you would want to have the job done properly and quickly, which your removalists of choice would be able to do. The problem is that you are going to have to pay for that luxury. Instead of getting trained specialists do the packing, just do it yourself. Even if you do not decide to go for that service with your contractors, they will still be glad to provide you with high quality packing materials, so that you can do the job on your own – and they will definitely come on a good price. Then you will have to set aside several days before the actual move, so that you can tackle the task properly and hassle-free, while saving good money. The best thing to do however is to get acquainted with the prices on which moving companies in your area work and thus make it possible for you to pick up the one that offers the best deal. Fortunately, it is quite an easy task to accomplish, since the only thing you have to do is to get in touch with all of the contractors and request a quote from each and every one of them. Then make your choice. Let’s start with the real bad news – the only way to have a thoroughly hassle and stress free moving experience and not put yourself and your family under any pressure or strain is to actually give up the removal. This, of course, is not possible for a number of reasons – you might be relocation because of the requirements of your new job, because your old place does not comply with your needs anymore, or in the ideal case – because you have found the house of your dreams. So one thing is clear – the removal is inevitable. What you should do now is think of strategies that are going to make it as pleasant and comfortable an experience as possible. Fortunately, there are a number of things that you can do in that direction that are going to provide you with quite satisfactory results. Moreover, the greater part of them is not related to additional expenses that are going to put strain on your budget. Remember, the main goal is to reduce stress as much as possible. First and foremost, you should start looking for removal services available in your area in advance. The sooner you start, the better your chances are of finding the perfect contractor for you. Check the local business guides and find the companies that operate in your area. When you pick up a moving contractor, book their services in advance – in that way you are likely to even get a discount! De-clutter your property. Chances are that there are a lot of unnecessary items accumulated in your old place that you would neither want nor need to get with you when you are moving. So sort everything out and get rid of the items that you deem unnecessary. In that way you are going to reduce the number of objects that you need to get packed and loaded on your movers’ truck/van. Some of them you can even sell for a little profit, especially if we are talking about old furniture or clothes. Keep panic at bay. You do not need it, especially on your moving day. Get everything planned. More importantly, make lists of everything that you need to be taken care of. Thus you will avoid forgetting something important and causing yourself unnecessary stress when the time comes to move. Get moving insurance. In this way you will worry less about your items getting damaged during the transportation process. If you have hired a good removal company, it is unlikely that such a thing is going to happen, but it is always good to be prepared, isn’t it? Get all documents in order. You should check out the regulations of the local council at the place you are moving into. Change your driver’s license and ID. Make sure that everything is fine with the enrollment of your kids at school in your new place of residence and find a new General Physician in advance. London is a huge place and it is normal that many accidents happen on a daily basis here. So it comes as no surprise that the information websites as well as the newspapers are overflowed with bad news. But there are some really positive ones too. An example for that is the latest decision of the administration of the University of East London, who decided to give a free tablet to every new student enrolled in the programs of the university new year. This means that 4000 freshmen are going to get a welcome gift from their university at the beginning of the school year. The tablets are going to be pre-loaded with free textbooks too. The aim of the program is to help the new students is their first steps in the journey of the academic study. This is a sort of a social-aid program, according to the university vice-chancellor John Joughin, who says that the gift is going to provide a “level playfield for all students” participating in the courses of the University of East London. Modern day students feel much more comfortable in the digital world than the analog one that the university library usually provides. So the electronic texts books sound like the best way to help them begin their studies. The tablets are going to be given to all students, no matter what courses they are enrolled in or what their country of origin is. For example among the first students who have made use of the free tablets were a psychology student from Norway and an anthropology student from Italy. The program has a two-fold purpose. On one hand it will definitely make studying far easier and more accessible to as many young students as possible. On the other hand however, the administration of the University of East London hopes that they are going to attract more people to their institution. The last several years have marked a serious competition among educational institutions and the universities are always on the lookout for new ways to make their programs attractive to potential pupils. Getting more students in the University of East London will definitely help boost the social status and the economy of the local community. More students mean not only stability for the university itself, but also an increase in the demand for such services as end of tenancy cleaning, food delivery and the entertainment industry. 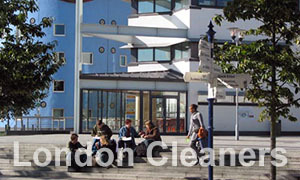 Students are known to look for end of tenancy cleaning services far more often than other residents of London, because they want to get their rental deposits back at any cost. You have decided to move abroad because you need a change of scenery and because you will have better career opportunities. But moving abroad isn’t as easy as most people think and this is why we have decided to turn your attention on several moving tips that will ease your relocation. You must start by making a relocation plan and following it blindly. 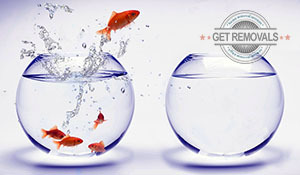 Moving abroad without a plan will undoubtedly make your relocation a nightmarish task that you will end up regretting. Also make sure that you draft a moving budget to protect yourself from overspending. Assign a budget that is big enough so that you can cover any unexpected expenses if they occur during the move. Your next step should be to seek out and hire a man and van company that provides international removals. Keep in mind that long-distance removals can be expensive so scout several moving firms until you find a company that provides international relocation at a reasonable price. Now that you have made your moving plan, assigned your budget and hire a moving company you must find accommodations. You can either book a hotel room and stay at the hotel until you find yourself a place to live in or you can explore various real estate websites. Both approaches have their pros and cons but if you are on tight budget the latter approach is more preferable. Now you must prep yourself emotionally. Despite the fact that you have chosen to move away you will still feel nostalgia and you will most certainly miss your family and friends. You must make peace with the fact that there will be days when you will feel sad about your decision. Also you must understand that the first couple of months will be very hard on you and that you will feel exhausted most of the time because you will be bombarded with mix emotions on a daily basis. Next head to a bank or change bureau and convert your money. You must convert your money prior of your departure because you won’t know how the exchange system in the country to which you are moving is working and ending up in a foreign country without local currency isn’t something that you want to experience. Last learn as much of the local language as you can. By speaking the local language you will be able to make contacts more quickly and therefore get accustomed to your new environment more quickly. You have decided to change your surrounding and relocate but you cannot decide where to relocate to. If that is your case, have no worries as we will help you find the ideal destination for you. Determine the reason for your move – Some people relocate because of the climate while others relocate because they won’t to work a job with bigger and better career opportunities. Once you determine the main reason for you desire to move you will be able to more easily filter out any potential areas. Conduct some research – Next scout the numerous potential areas to which you can relocate. For instance if you are an engineer and you are moving because of your career, reconnoiter the various areas and discard all areas that have a low need for engineers. Consider the language – If you have decided to move within your own country then language is not an issue. But if you have chosen an area that is located abroad than you must seriously consider whether you will be able to learn the native language. Keep in mind that some language are much harder to learn than others, so make sure that you choose wisely if you decide to move to a foreign country. Removals – Long-distance removals can be expensive, so before you choose an area that is located far, far away make sure that you can afford it. If you can’t chose an area that is located more closely to your current location. Although the latter is not the perfect scenario it will still allow you to change your known environment and start a new life. Visit the potential locations – Before you make your final decision, make sure that you visit in person all potential locations. By doing so you will get a better idea of what awaits you once you have moved. If you cannot visit all locations personally, use internet applications that will allow you to tour the area virtually. Although it won’t be as accurate as the real deal, it will still give you a basic idea on what your new surrounding will be like. Once you have meticulously considered these five factors you will be able to easily choose the location that suits you and your needs based. When finally you have chosen an area, contact all concerned parties such as your landlord, service providers, employers and etc, and notify them that you are going to move away. Office relocations are much more complicated than domestic relocations because in most cases they have a very strict deadline and a vast amount of items that much be moved. If you are currently moving your office and you are worried that you won’t be able to relocate it in time, don’t panic because we have a tutorial that will not only facilitate the entire process but will allow you to complete your relocation with time to spare. Start by assigning a relocation budge and follow it to the letter. This way you will protect yourself from overspending and you will know in advance exactly how much money you can afford to spend on the relocation. Continue by scouting down different man and van companies that provide commercial removals. Many business owners opt to conduct their own relocation in order to save some money but end up losing money because in most cases they fail to meet their deadlines and as you know in business time equals money. Once you have scouted the different companies, hire the one that has the best removals-price ratio and hire it. By hiring a removal company you will not only drastically facilitate the entire relocation but you will also have the luxury of knowing that a team of experienced professional is organizing and conducting the project. Next involve your employees into the relocation by having them pack their own cubicles and offices. To enhance the work rate of your employees have one of your managers supervise the packing process. This way you will have the comfort of knowing that the packing stage of your relocation is being handled by someone you trust and know that will get the job done. Now you must decide whether you will be taking your current office furnishings with you. If are, notify the man and van company so that it can send a team of movers to come and dissemble the furniture. On the other hand if you aren’t taking the furniture with you either sell it or donate it. During moving day make sure that the parking lots of your former and future offices are empty so that the moving vans can park as close to the buildings as possible. This will not only ease the moving but will accelerate it as well. Once the relocation is over, organize a party and invite everybody that has worked on the relocation project. For your property management needs, check-out our trusted partner - House PA in London.